Frank St. Albin talking to the Society membership and guests. Frank St. Albin gave a talk titled, "Bay State Box Factory - Then and Now". until 1998 when the factory was sold. 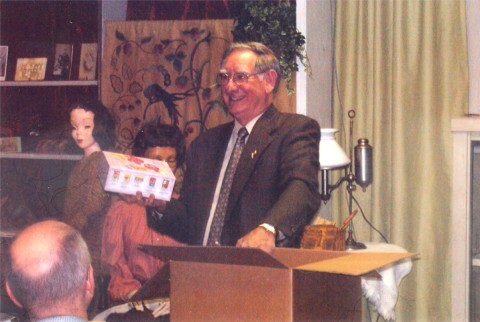 Source: Stoneham Historical Society, March, 2006.